The acquittal of Jason Stockley in the death of Anthony Lamar Smith had stirred concerns about possible civil unrest for weeks. Several hundred protesters were marching in the streets of downtown St. Louis within hours of the verdict, but only a single arrest had been reported as of midday. The case played out not far from the suburb of Ferguson, which was the scene of the fatal shooting of Michael Brown, the unarmed black 18-year-old who was killed by a white police officer in 2014. That officer was never charged but eventually resigned. Stockley, who was charged with first-degree murder, insisted he saw Smith holding a gun and felt he was in imminent danger. Prosecutors said the officer planted a gun in Smith’s car after the shooting. The officer asked the case to be decided by a judge instead of a jury. “This court, in conscience, cannot say that the State has proven every element of murder beyond a reasonable doubt or that the State has proven beyond a reasonable doubt that the defendant did not act in self-defense,” St. Louis Circuit Judge Timothy Wilson wrote in the decision . St. Louis Circuit Attorney Kim Gardner said she was disappointed. “While officer-involved shooting cases are extremely difficult to prevail in court, I believe we offered sufficient evidence that proved beyond a reasonable doubt” that Stockley intended to kill Smith, Gardner said in a written statement. The head of the St. Louis chapter of the NAACP asked President Donald Trump and the Justice Department to review the acquittal. Prosecutors objected to the officer’s request for a bench trial. Stockley, 36, could have been sentenced to up to life in prison without parole. He left the St. Louis police force in 2013 and moved to Houston. Ahead of the verdict, activists in St. Louis threatened civil disobedience if Stockley were acquitted, including possible efforts to shut down highways. Barricades went up on Aug. 28 around police headquarters, the courthouse where the trial was held and other potential protest sites. Protester efforts at civil disobedience were largely unsuccessful. When several demonstrators tried to rush onto Interstate 64, they were blocked on an entrance ramp by police cars and officers on bikes. When they tried to enter the city’s convention center, the doors were locked. At one point, a group of the protesters stood in front of a bus filled with officers in riot gear, blocking it from moving forward. When officers began pushing back the crowd, protesters resisted, and police responded with pepper spray, two women told The Associated Press. Both women’s faces had been doused with milk, which is used to counter the effects of pepper spray. The Rev. Clinton Stancil, a protest leader, said the acquittal was shocking based on the evidence but not surprising. “It’s a sad day in St. Louis, and it’s a sad day to be an American,” Stancil said. The St. Louis area has a history of unrest in similar cases, including after Brown’s death, when protests, some of them violent, erupted. In Smith’s case, the encounter began when Stockley and his partner tried to corner Smith in a fast-food restaurant parking lot after seeing what appeared to be a drug deal. Stockley testified that he saw what he believed was a gun, and his partner yelled “gun!” as Smith backed into the police SUV twice to get away. Stockley’s attorney, Neil Bruntrager, argued that Smith, a 24-year-old parole violator with previous convictions for gun and drug crimes, tried to run over the two officers. Stockley fired seven shots as Smith sped away. A chase ensued. 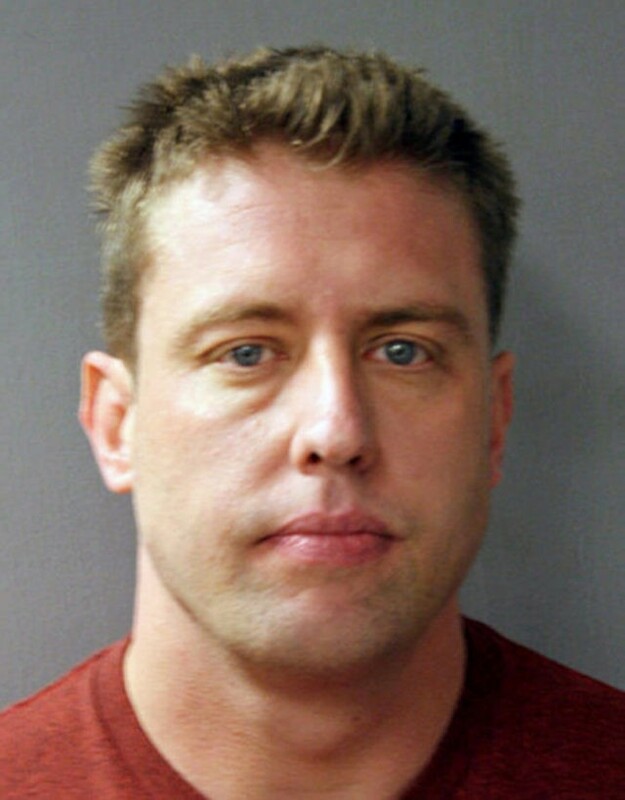 At the end of the chase, Stockley opened fire only when Smith, still in his car, refused commands to put up his hands and reached along the seat “in the area where the gun was,” Bruntrager said. Stockley said he climbed into Smith’s car and found a revolver between the center console and passenger seat. But prosecutors questioned why Stockley dug into a bag in the back seat of the police SUV before returning to Smith’s car. The gun found in Smith’s car did not have his DNA on it, but it did have Stockley’s.